We have carved a niche for ourselves as a Manufacturer, Exporter & Supplier of Vibrating Screens in Delhi. The range of highly efficient Vibrating Screens is available in various sizes and dimensions and can be customized as per the requirements of the client. 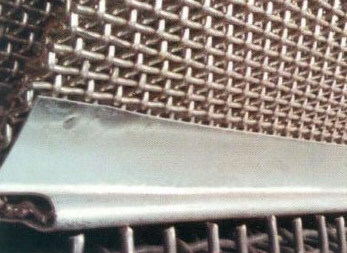 This Vibrating Screen wire-mesh is manufactured from the high grade quality raw materials to ensure their durability and reliability. They provide excellent performance even in tough and extreme conditions. The Vibrating Screen is also known as Wirecloth and Crusher Screen. We produce Vibrating Screen wire-mesh as per the 152405 Part-I and customer specifications with clamps and edge preparation.